Authorities on the Greek islands of Lesbos and Chios have deported more than 200 migrants on boats bound for Turkey. The operation is part of what human rights groups label a “dangerous” EU deal to limit migration to Europe. “This is the first day of a very difficult time for refugee rights. Despite the serious legal gaps and lack of adequate protection in Turkey, the EU is forging ahead with a dangerous deal,” Giorgos Kosmopoulos, head of Amnesty International in Greece, told AP, referring to the operation, which started at dawn and was conducted under heavy security. “Turkey is not a safe third country for refugees. The EU and Greek authorities know this and have no excuse […] Even if this first group is not refugees, what we are seeing here is symbolic kick off of what might be a very dangerous practice of returns to Turkey,” he added. — RT (@RT_com) 4 апреля 2016 г.
Migrants were escorted onto small ferries by officers from the EU border protection agency, Frontex, to nearby ports on the Turkish coast. A number of asylum seekers on the islands have reportedly complained of not being given sufficient time and access to the asylum procedure. Anas al-Bakhr, a Syrian engineer from Homs now stuck on Chios Island, said police marked his arrival date as March 20, although he claims to have arrived the day before. “They said the computers were broken that day,” the man told AFP. A total of 50,000 migrants and refugees are stranded in Greece following EU and Balkan border closures, the Ekathimerini Greek daily reported, citing fresh data provided by the government late last month. 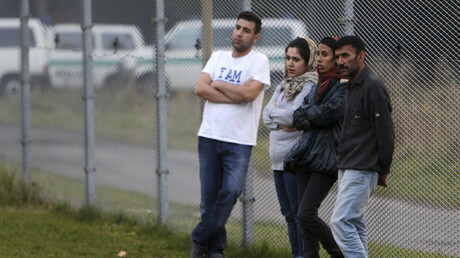 Only those who arrived after March 20 will be detained for deportation. Last month EU leaders and Turkey agreed a plan, aimed at opening a "safe and legal" route to the EU for Syrian refugees. The idea is that all new irregular migrants crossing from Turkey into Greek islands will be returned to Turkey; and for every Syrian returned to Turkey from Greek islands, another Syrian will be resettled from Turkey to the EU. This "temporary link" between resettlement and return is only feasible up to a limit of 72,000, the European Commission noted, however. Commission President Jean-Claude Juncker acknowledged that the European Union and Greece were facing a "Herculean task" to implement the plan. — RT (@RT_com) 1 апреля 2016 г. In return for re-admitting migrants, Ankara is set to receive more financial aid and a promised visa-free travel in the EU for its citizens. Turkish Interior Minister Efkan Ala said his country is ready to receive 500 refugees on Monday and Greek authorities have provided 400 names, AFP reported. Up to 4,000 migrants and refugees are being detained on Greek islands since the agreement came into effect March 20. According to Kyritsis, over 130 migrants were deported from Lesbos and more than 60 from the nearby island of Chios. Scuffles erupted in Chios Island on Sunday night between riot police and local residents objecting to the relocation of migrants, The Toc Greece reported. Locals, protesting the establishment of a temporary migrant accommodation facility at the Tampakika area of the island, worry that it may eventually become a permanent migrant center. Police sources on Lesbos reportedly said there had been a flurry of last-minute asylum applications on Sunday amongst the 3,300 migrants there. 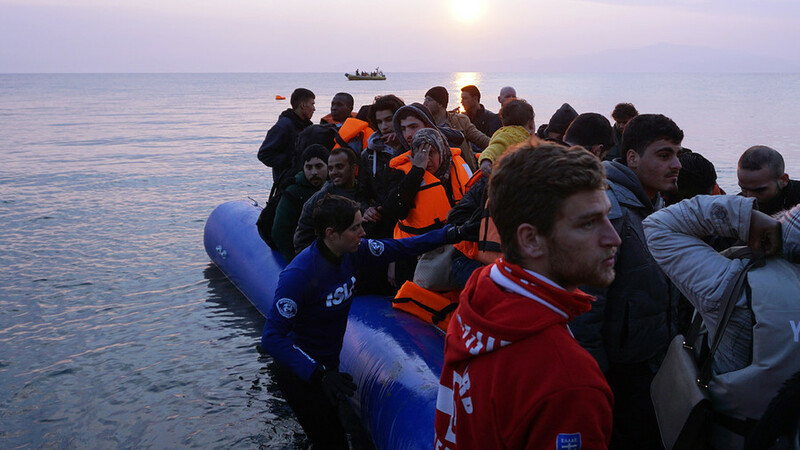 “We... have over 2,000 people that have stated their wish to seek asylum and we need to see a credible process go ahead with the Greek asylum service for those that wish to express their protection concerns,” Boris Cheshirkov, the UN refugee agency spokesman on Lesbos, told AFP.